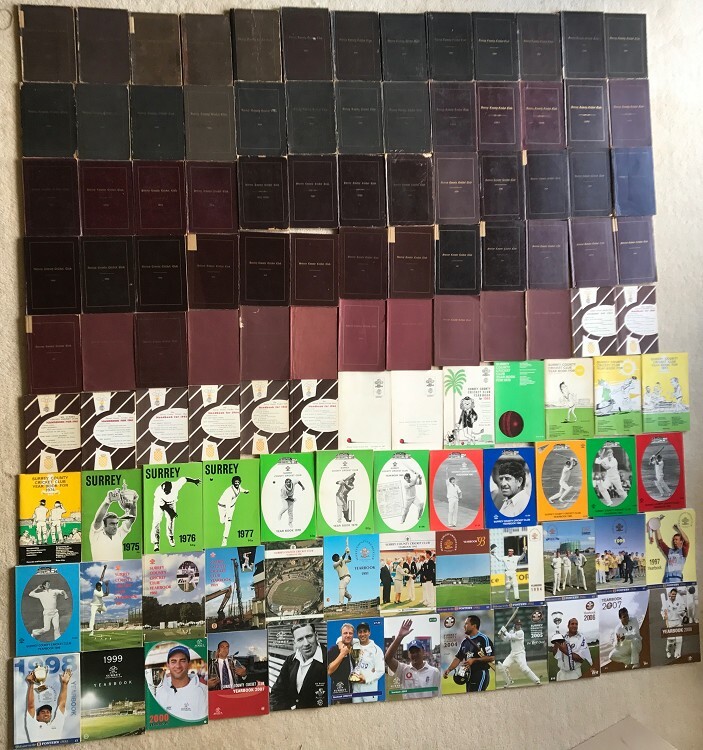 We are currently cataloging the Brian Freed Collection (Benno as know by his Wisden friends - A "Benno Standard" book is one that is top quality - the Wisdens are coming soon (mail me for an advanced preview)) , there are 2 lots that are not Wisden. Here we have a run of Surrey County Year Books from 1885 to 2008. The books are in very nice condition, the 1893s rear cover is detached and the 2 books 1910 & 1915-20 have weaker spines. Some of the books have year tags in paper on the spine. Overall a nice set.